Poet, prose writer, author of stage plays. 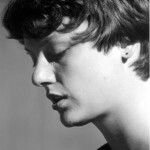 Winner of the German Hubert Burda prize (2003) and the Magnesia Litera (2014), she secured second place in the drama competition the Alfréd Radok Awards (2006). 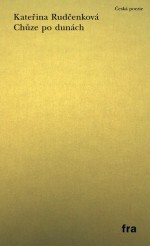 Her poems and plays have been published in German, English and Slovene. She was born in Prague on 12 April 1976. [Walking on Dunes] emanate carefulness, circumspection and patient consideration. The groundwork for most of them is composed of movement, specifically walking. Walking serves as a source of inner strength which pulses throughout this outwardly calm and patient collection. 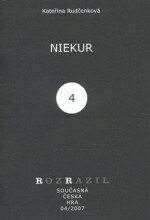 The second collection Není nutné, abyste mě navštěvoval (No Need for You to Visit Me, Klokočí, 2001) freed itself from the shackles of artistic templates. “In place of the earlier realistic characters and specific urban or rural landscape, there arises a deserted house and in it a dusty room ‘on the edge of anything’. In the fading outlines of things which seem to have slipped into a dream, the last point of reference is the word and verse: “I live within language, to which / I consign everything that happens”,” writes critic Radim Kopáč. The prose works brought together in the short-story collection Noci, noci (Nights, Nights, Torst, 2004) are linked by Anna, a character with autobiographical traits, who first struggles to come to terms with childhood traumas so that she can eventually try (rather unsuccessfully) to form relationships with men. 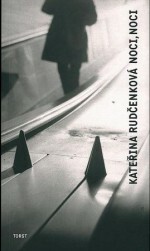 In it Rudčenková has a distinctive voice; she speaks of the everyday, but in a harsh, almost belligerent way; with her, even her lovers cannot be sure of anything – all the more so because she doesn’t incorporate them into her literature: “Women’s literature starts to get good at the point where it stops worrying about the fact that it is women’s. Rudčenková doesn’t worry about it – it just is. Reading her work means listening to her talking about herself. Even when she tries to speak for more people, it is only she who is speaking. She can’t help it,” writes Štefan Švec in Právo. 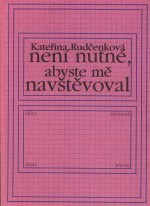 Rudčenková is also the author of four stage plays; for Niekur she was awarded 2nd place in the Alfréd Radok Awards, and it was staged by the Prague theatre Divadlo Ungelt.